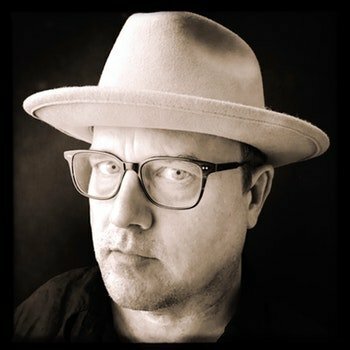 Based in Los Angeles, cinematographer Eric Schmidt has photographed films and television shows for directors Mark Pellington, Simon West, Agnieska Holland and Yann Samuell, as well as hundreds of commercials with directors like Noam Murro, Wayne McClammy, Andreas Nilsson, Damian Kulash and Steve Miller. Schmidt began his career filming the series “Cold Case” for producer Jerry Bruckheimer, and his work was nominated for Best Cinematography in a Television Series by the American Society of Cinematographers. He extended his narrative credentials on the movies “The Mechanic” starring Jason Statham, Donald Sutherland and Ben Foster and “I Melt With You” with Rob Lowe, Carla Gugino and Thomas Jane. Most recently, he was behind the lens filming additional cinematography on the movies “The Last Thing He Wanted” directed by Dee Rees (“Mudbound”) starring Anne Hathaway and “The Wolverine” directed by James Mangold. Eric lensed the Cannes Bronze Lion spot “Roam Free” for Land Rover directed by Noam Murro via Y&R NYC and the Gold Clio winning campaign “World’s Most Interesting Man” for Dos Equis for director Steve Miller via Havas Worldwide. He was also behind the lens on the standout spots “Driven” for Chevy, “Empty Chair” for Guinness and “Ideas” for GE. This past summer he filmed the launch campaign for the brand new line of Harley Davidsons for Wolfes, MNPLS. His spot “Epic Builder” for Money Super Market won Campaing Magazine’s award for Campaign of the Year for Mother/London, directed by Noam Murro via biscuitfilmworks. Eric has created unique looks for the music videos “Best of You” Foo Fighters, “Do You Realize” Flaming Lips, “Girls in Their Summer Clothes” Bruce Springsteen, and “Skyscraper” Demi Lovato with director Mark Pellington. He has worked with and photographed dozens of music videos for Coldplay, Beck, Tom Petty, Adele, Alpha Rev, Wilco, Chris Isaak, and Sting. Eric lives with his wife and two children in the Silver Lake area of Los Angeles.